Tamiya did a bang up job on the front office. 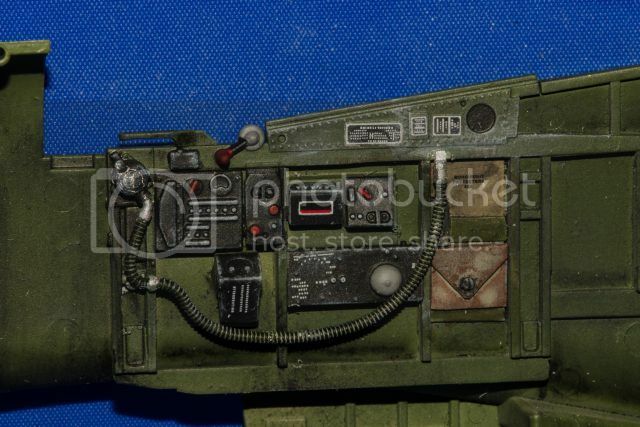 I should have remembered to take a few photos of the cockpit walls before painting, so a bits and pieces I added, which were a few pieces here and there, would have shown. I did use Jerry's cockpit photos as a guide which made things a lot easier. Making progress and trying to stick with what’s in the box but sometimes that isn’t easy. After finishing the front office, the next area of attention is the oil cooler and radiators and ducting. The kit supplied radiators are all plastic and represented by raised lines and are OK. 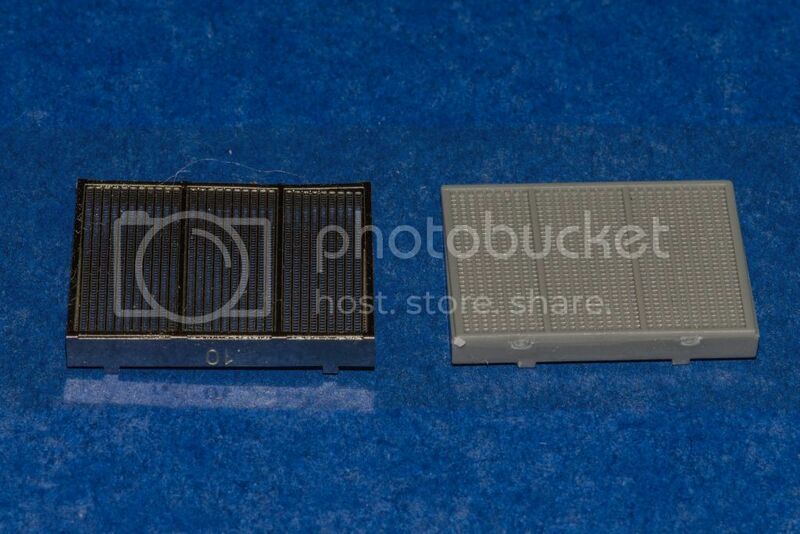 The kit oil coolers screens are PE but not as delicate as you might want. 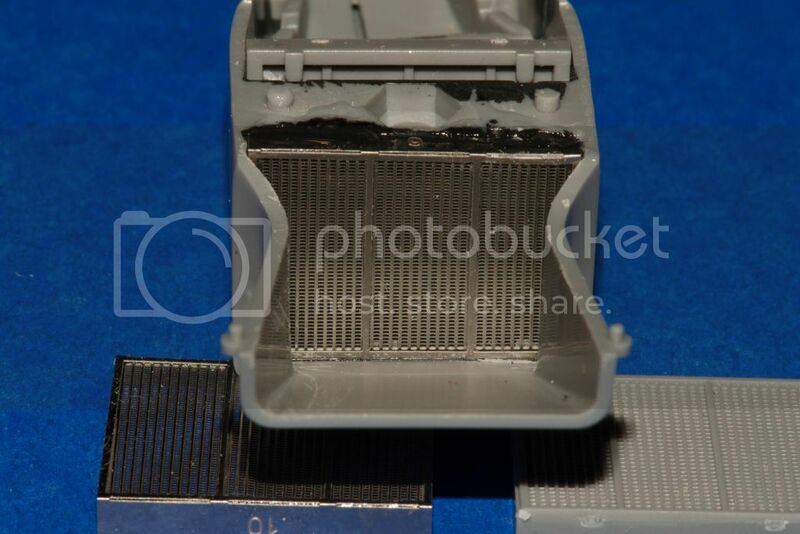 Why the radiators are plastic and the oil coolers PE, is any ones guess. 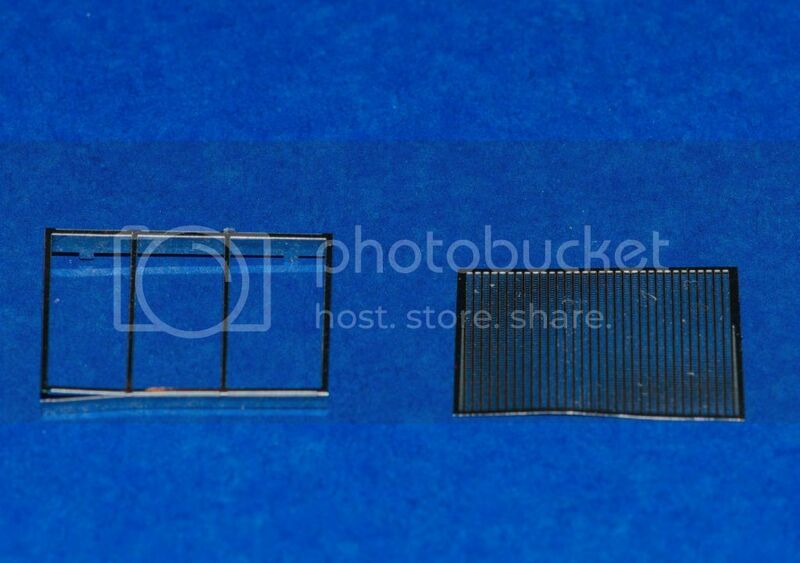 When RB Productions announced replacement PE parts, as well as the canopy rails, I jump at the first offer. 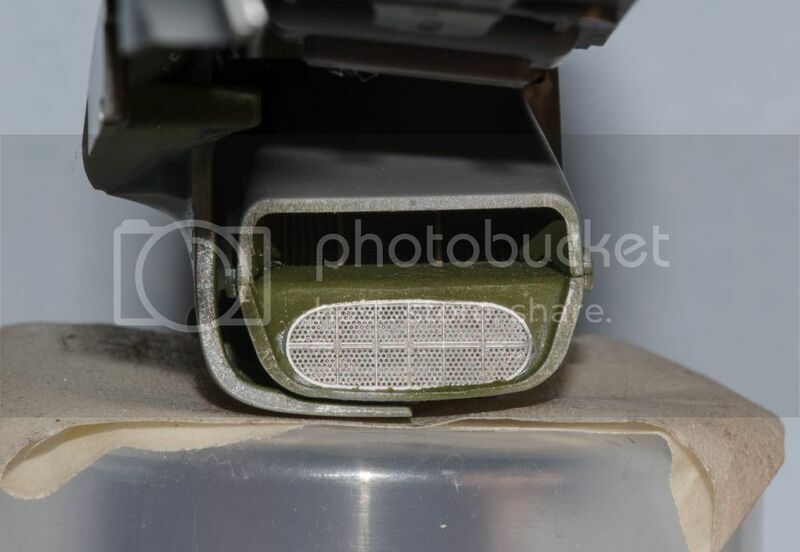 Typical of RB parts: gorgeous doesn’t come close. A few hours’ work and the parts were ready to install. I wasn’t sure of the correct interior ducting colors but found some great color close ups, rolled the dice and would use them as my guides. The radiators and oil coolers needed a bit of tweaking to fit but nothing difficult to remedy. After the PE parts were installed, I decided to revisit Model Master Enamels and the assemblies were masked and airbrushed. Just as I remembered and as compared to their acrylics, the psi was reduced from 20 to 12 and the painted thinned 1:1. Smooth as silk; sweet! At this point, all the interior assemblies were finished and weathered and were glued into place in the right hand shell. 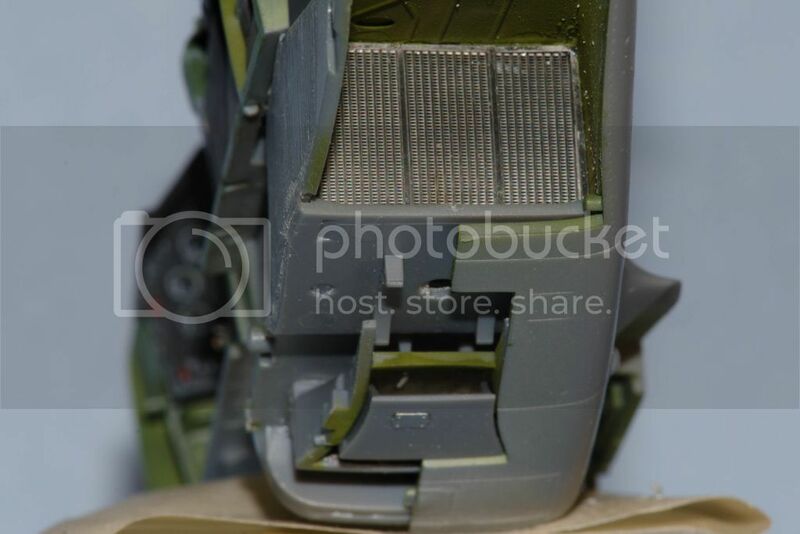 Once dry, the fuselage was buttoned up, glued together with Tamiya Extra Thin and left to dry overnight. 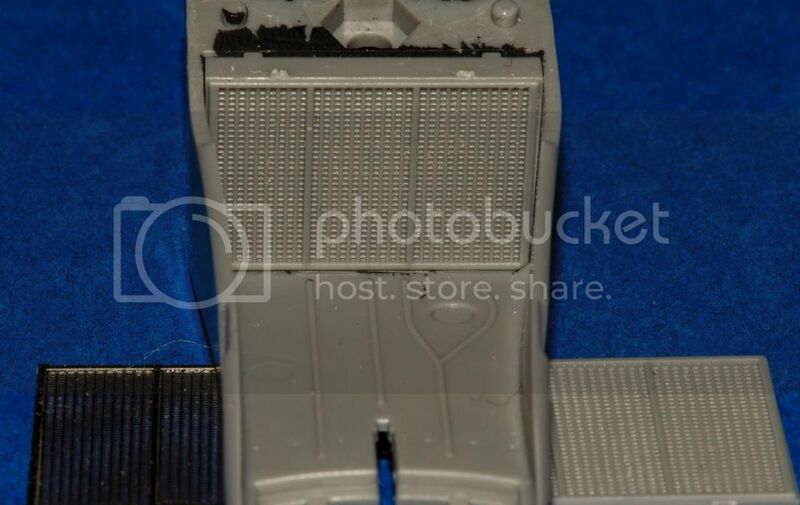 Tamiya does supply a lot of very small PW parts, that could have been molded in plastic and life would have been a lot simpler. But, just my two cents worth. Right and left sides completed and weathered. Lovely work Peter. Your cockpit looks especially good! Thanks guys ..... Much appreciated. Finally assembled the fuselage halves last night and the OOB interior is done. I have to say, Tamiya should be congratulated on doing an extraordinary job. That is one dang nice cockpit. Love the different values. I think it's time for an update Peter!!!!!! how is it coming along? Can't say enough about the Barracuda cockpit stencils and decals; as they really add to the overall appeal and look in the front office. 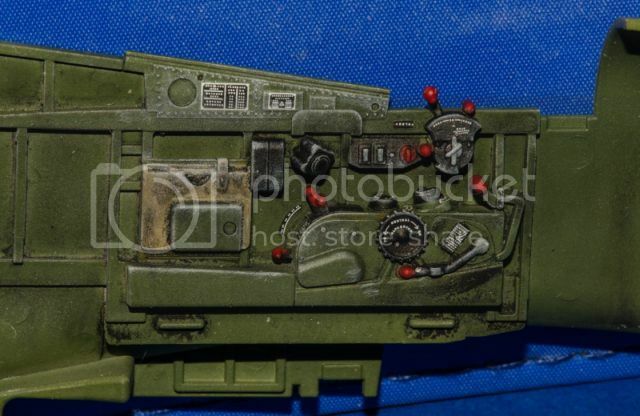 Not sure why, Tamiya didn't go that route, since they included almost everything anyway on the decal sheet. Love the RB PE, nothing like it. To bad it's going to be nearly impossible to see unless BBD is flipped over to view the grills after completion. I'm planning one more P-51 for this year and I'm really considering ading Barracudas cockpit detail set to the build. Slow but steady progress this week as with a long work week, not much time for the P-51. The fuselage is all buttoned up, wheel wells painted (I took your advice on the the color, went with interior green and a light wash of oils and moved on), weathered and installed. It's time to work on the gun bays and then finish up the main wing assembly. Photos late tomorrow.